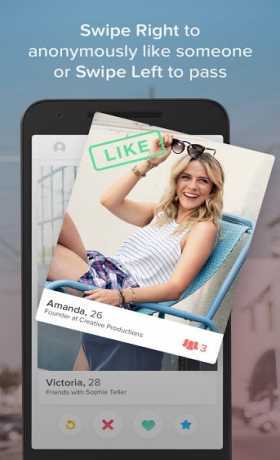 Tinder is an app that can help you find people nearby with your same interests. “The world’s hottest app” – Forbes. 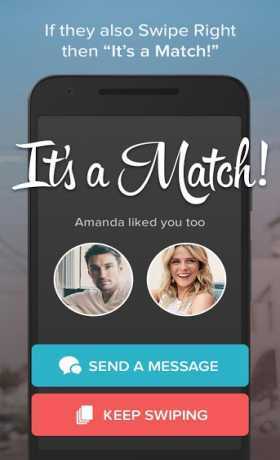 10 billion matches later, Tinder has changed the way people meet around the world. Making new connections on Tinder is easy and fun—just Swipe Right to Like someone, or Swipe Left to pass. If someone likes you back, It’s a Match! Chat with your matches, step away from your phone, get out and experience something new in the real world. It’s that simple! 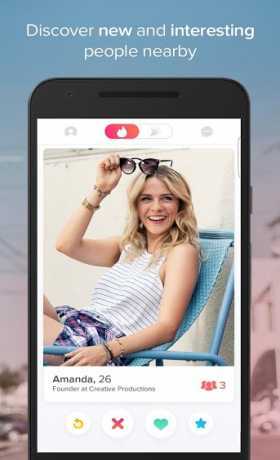 Introducing Tinder Social—It’s all about going out with friends and meeting new people. Invite your friends to go out, then swipe and match with other groups who want to meet up. Start the party with group chat, make plans and get out tonight!